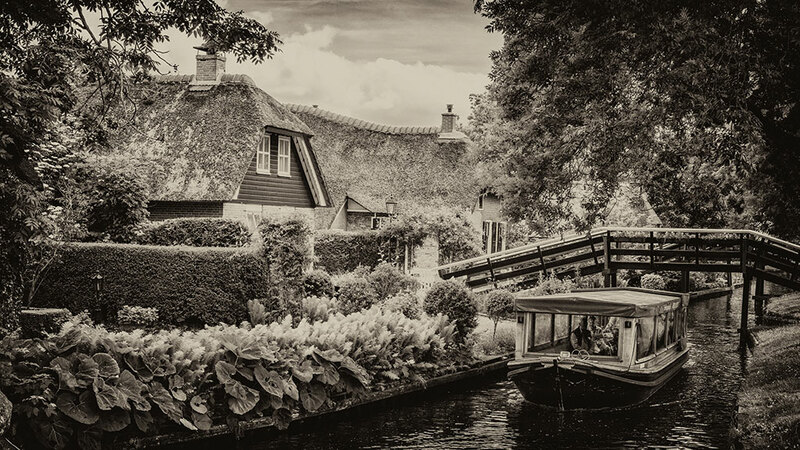 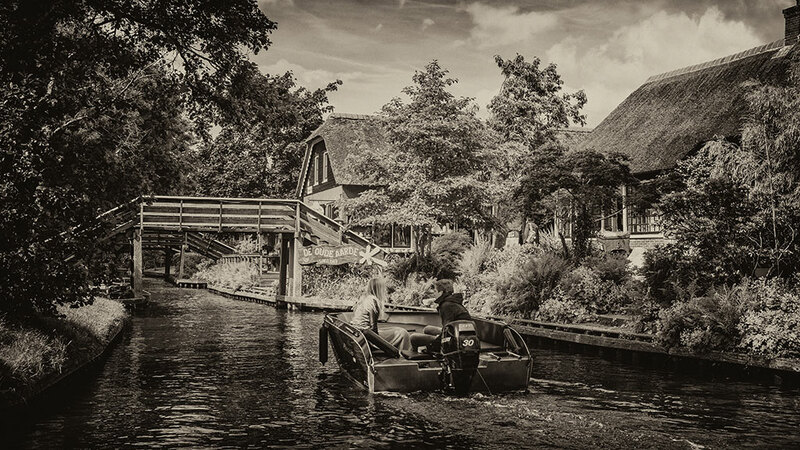 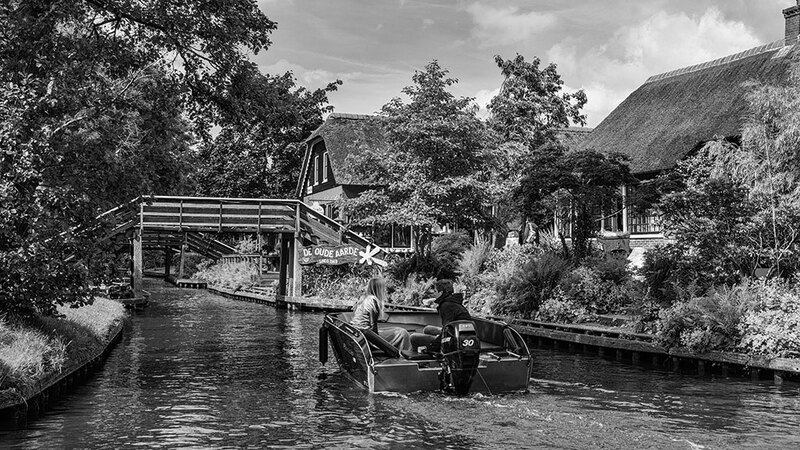 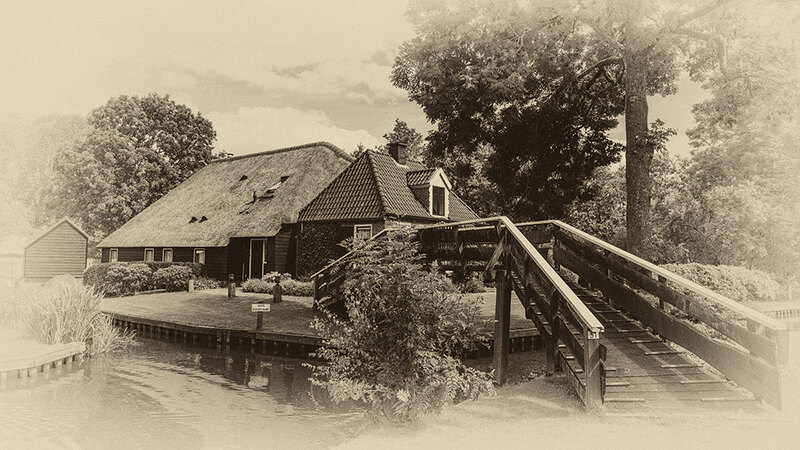 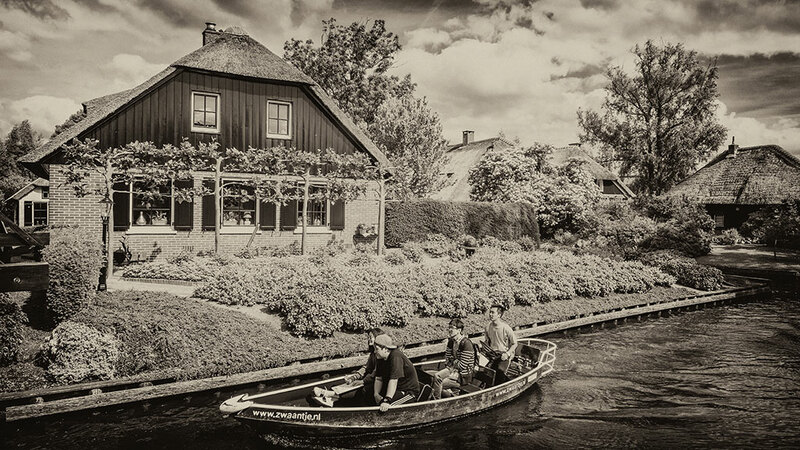 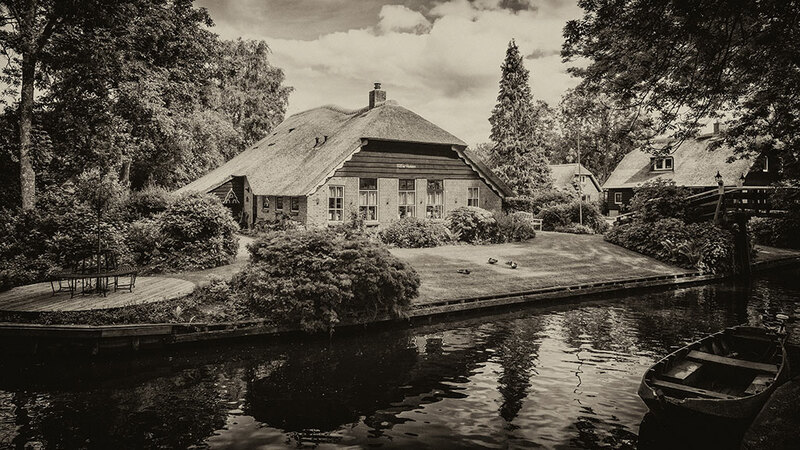 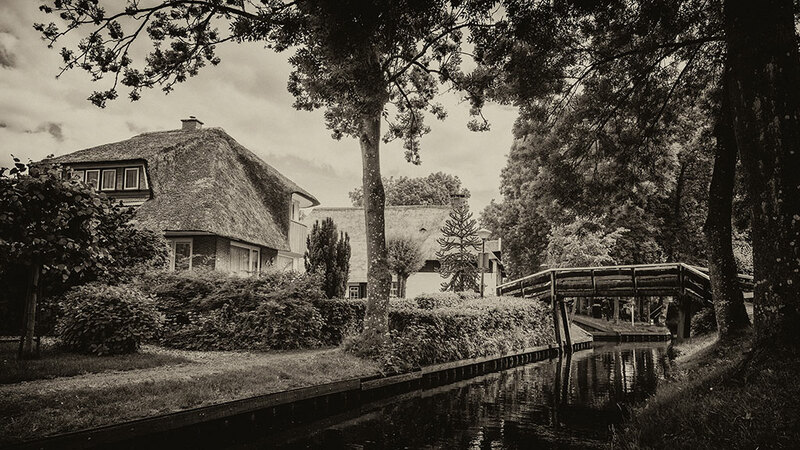 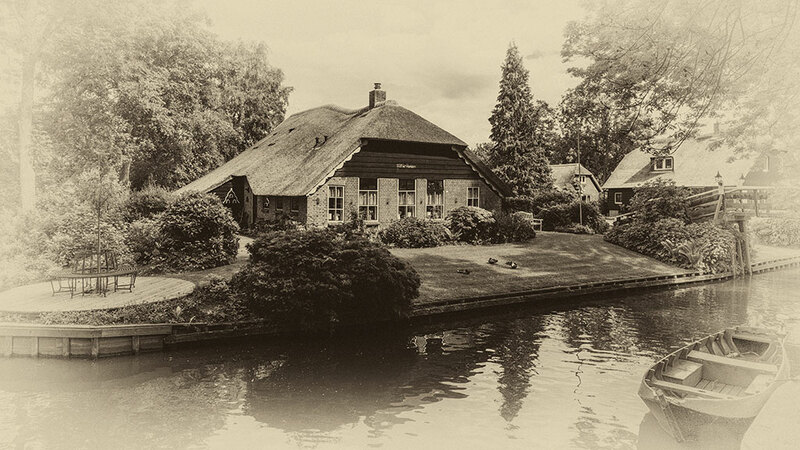 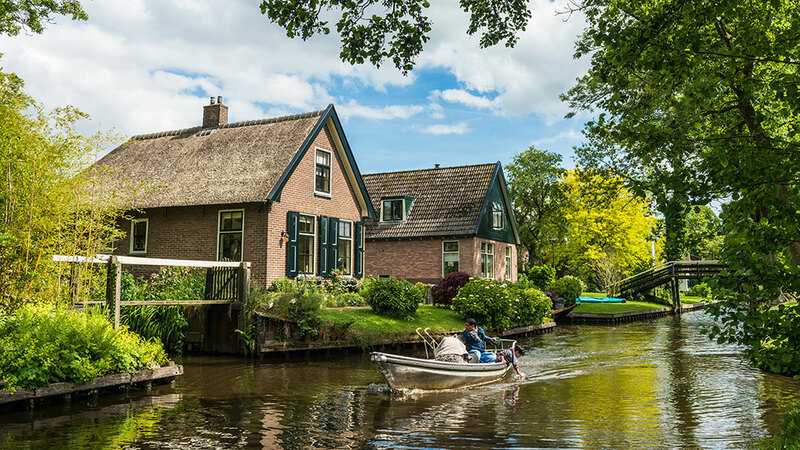 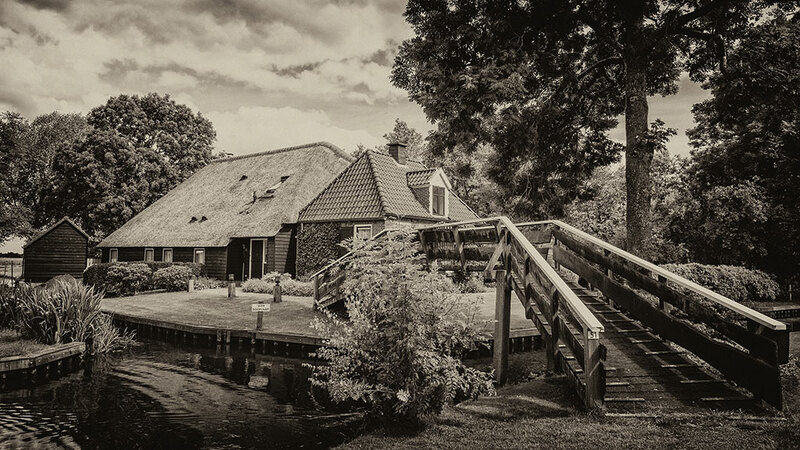 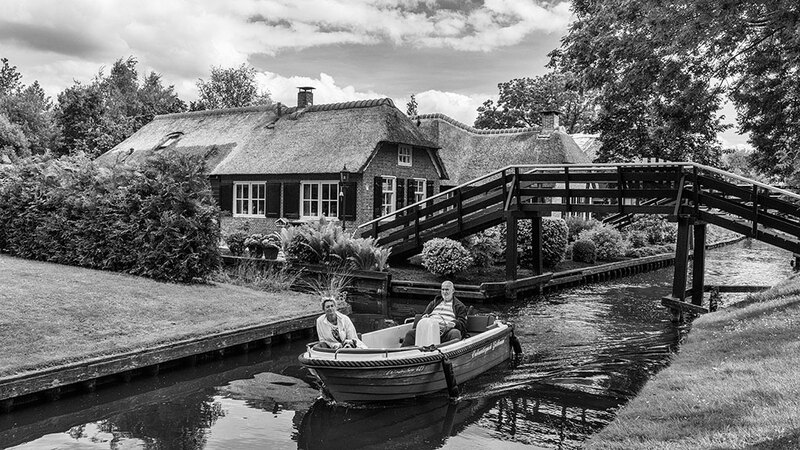 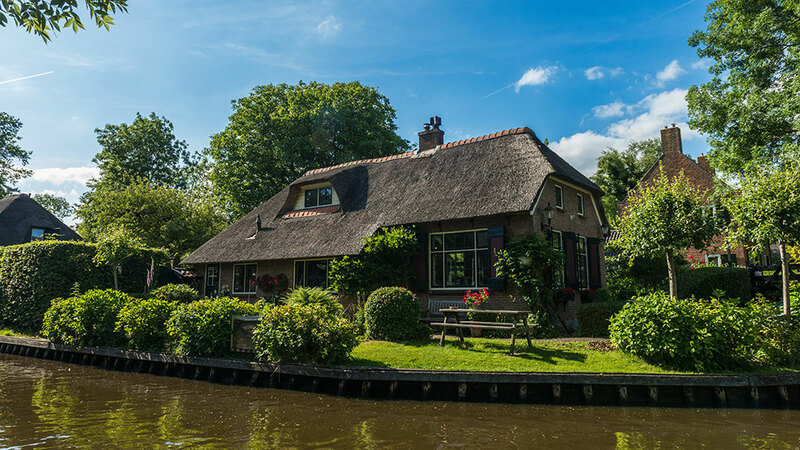 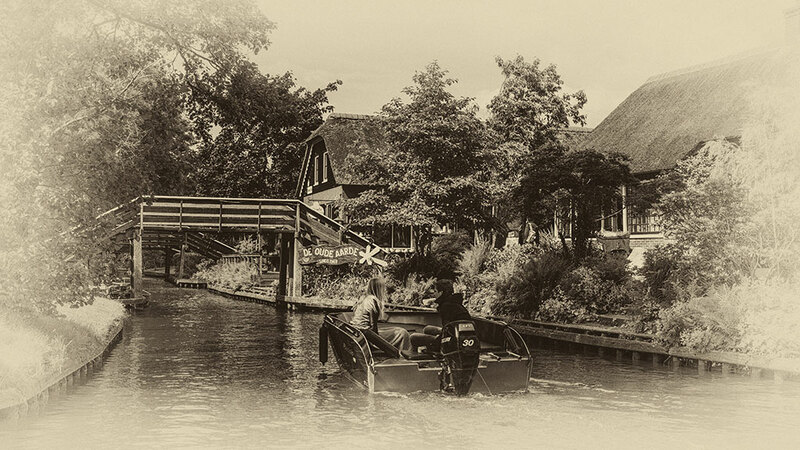 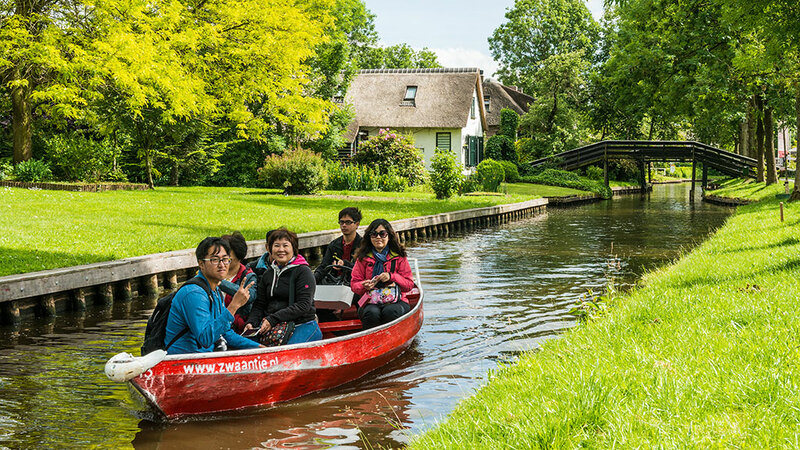 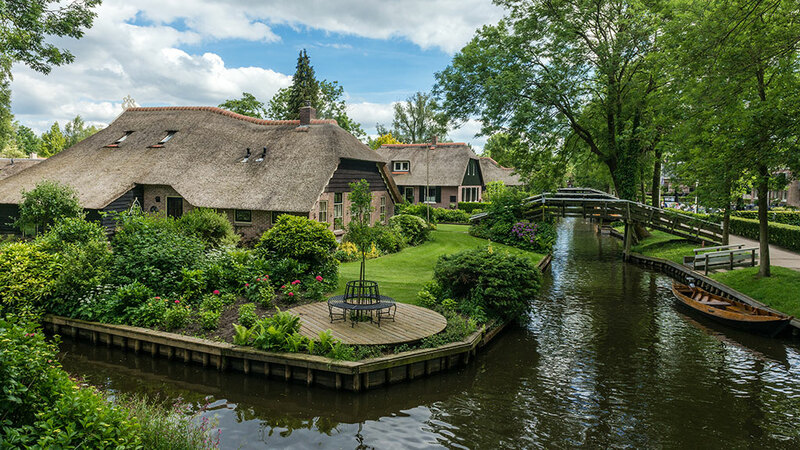 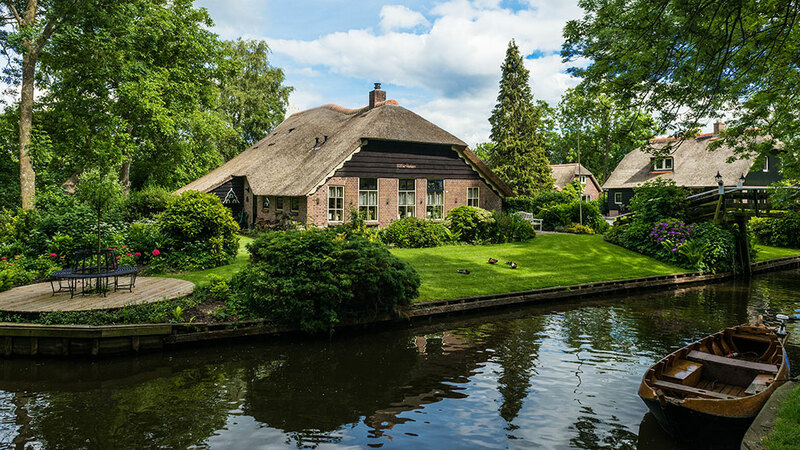 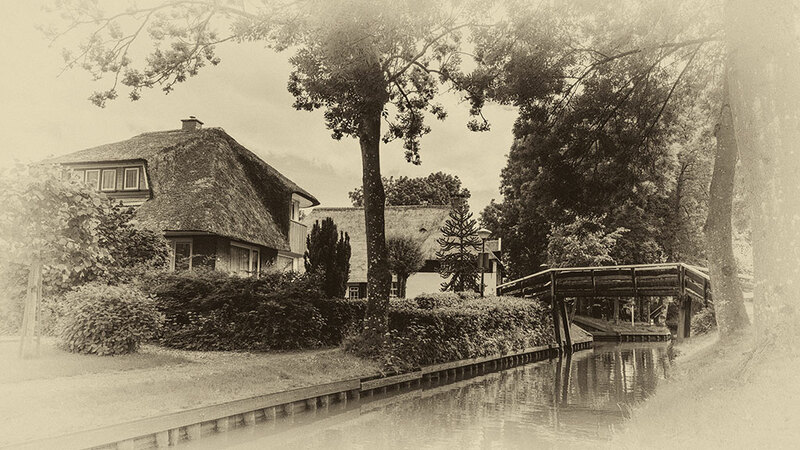 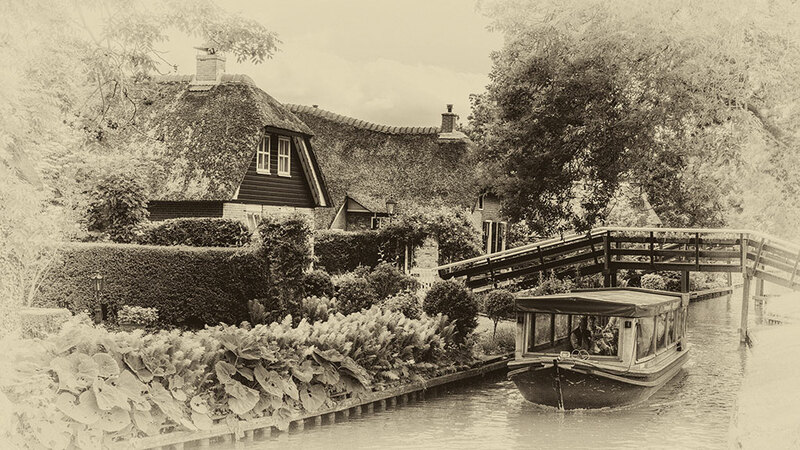 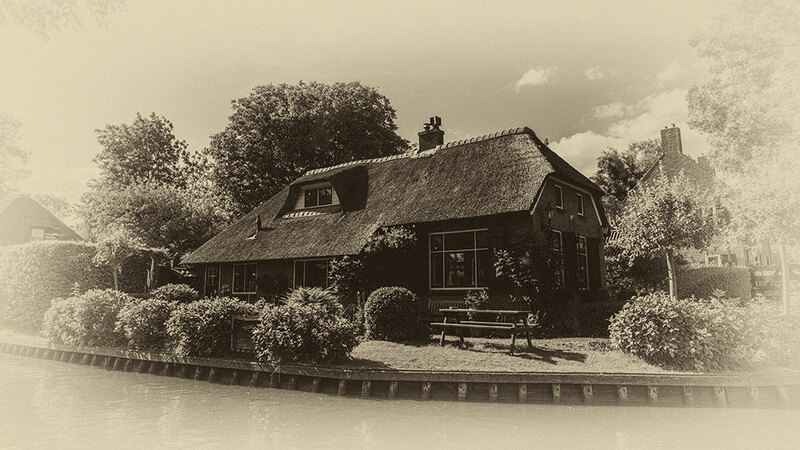 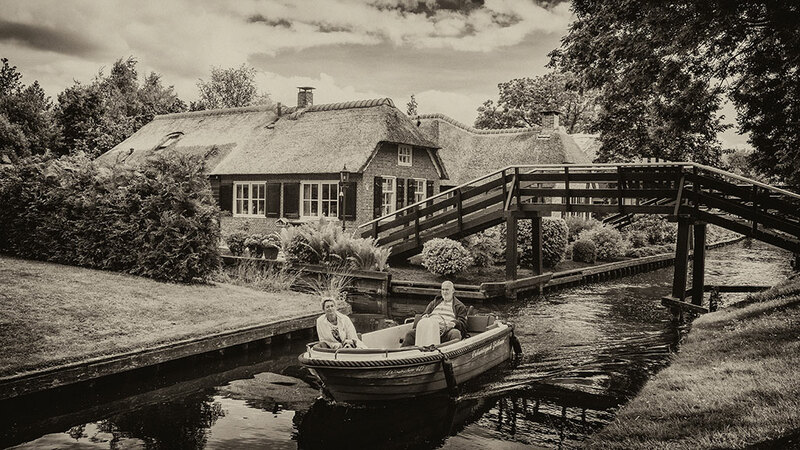 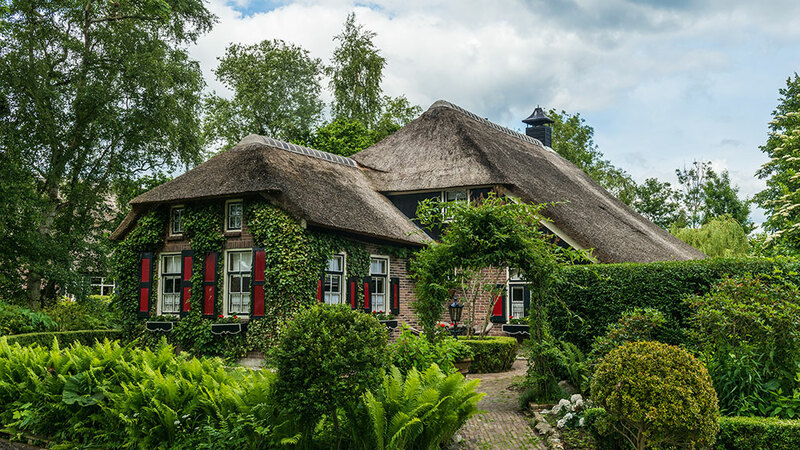 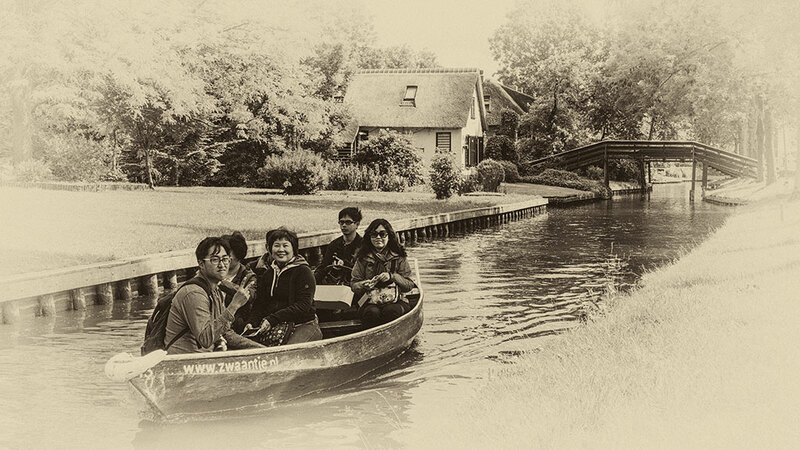 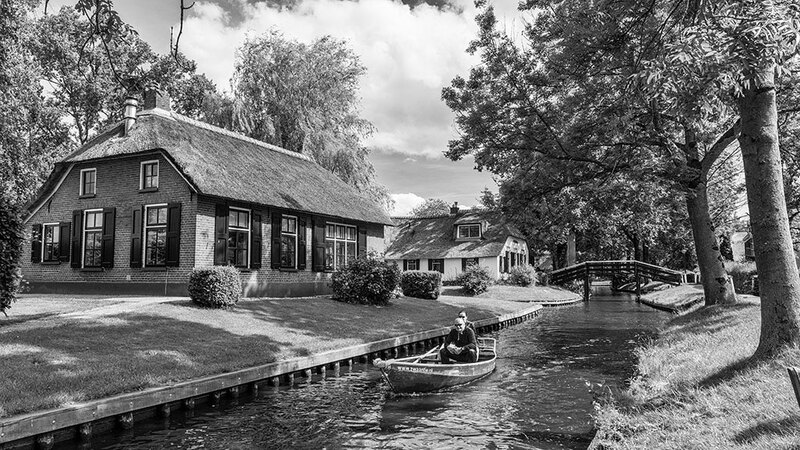 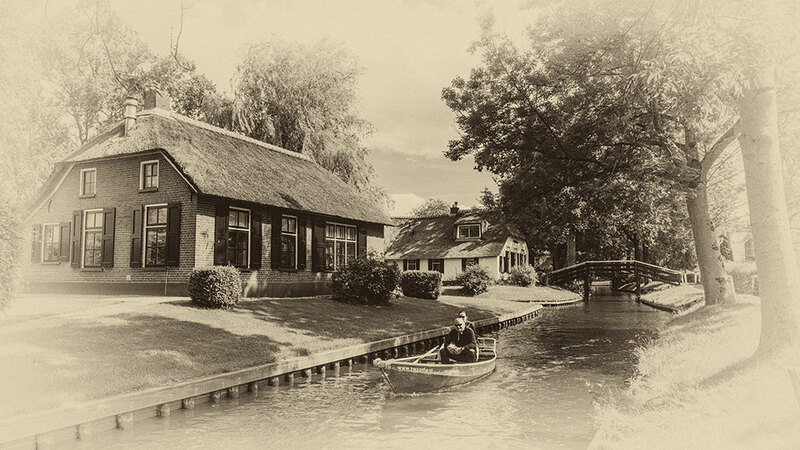 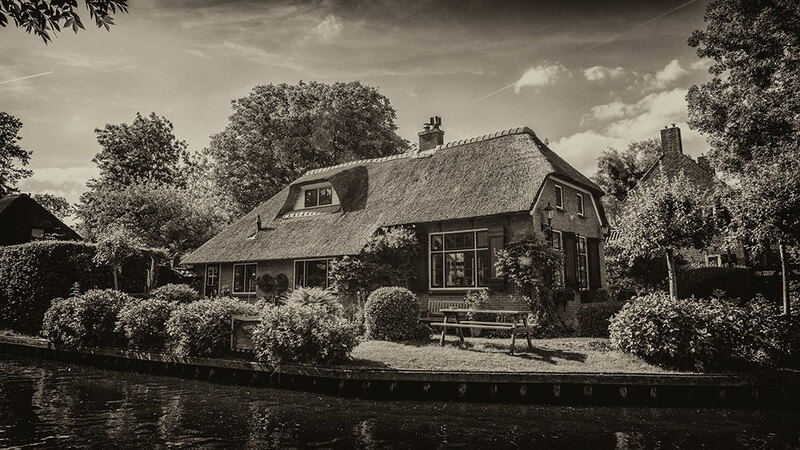 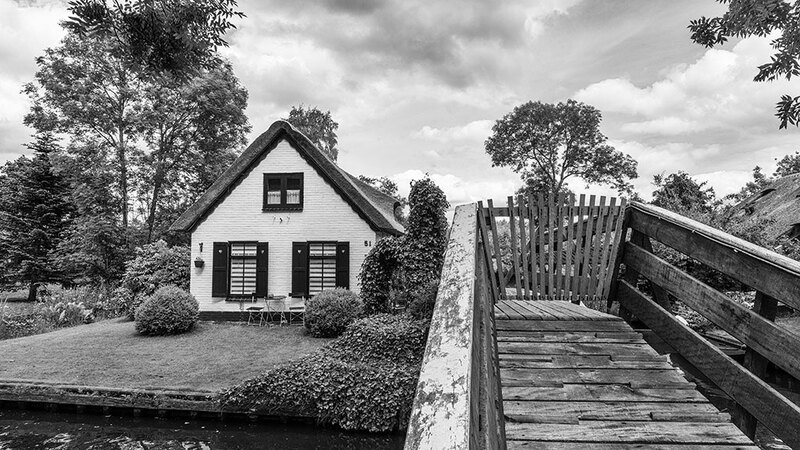 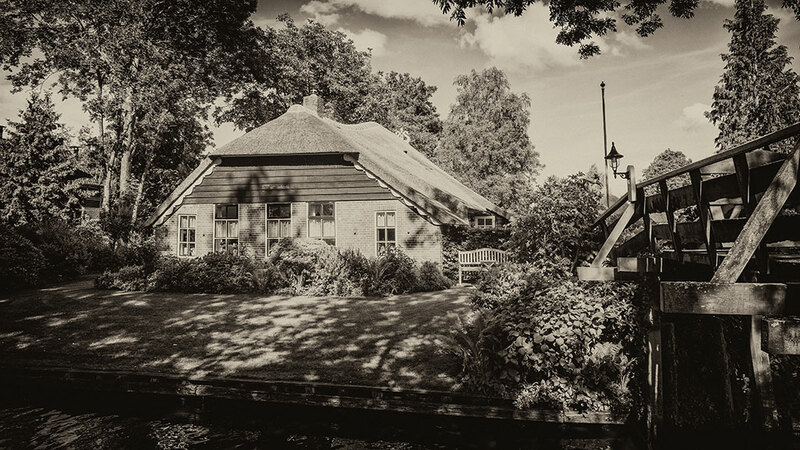 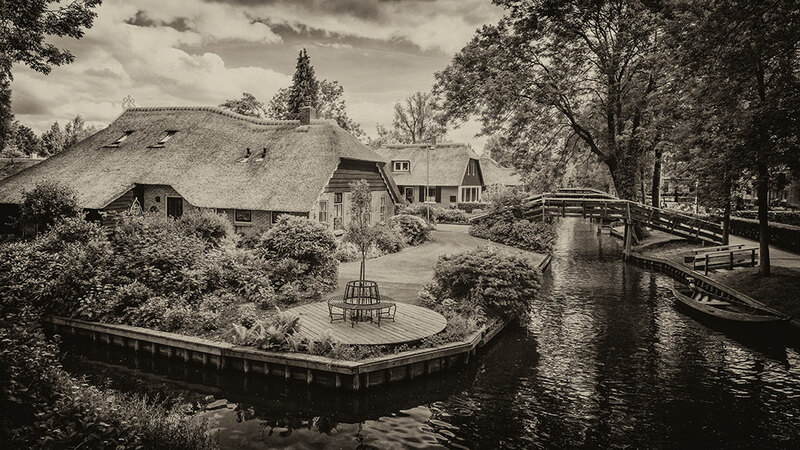 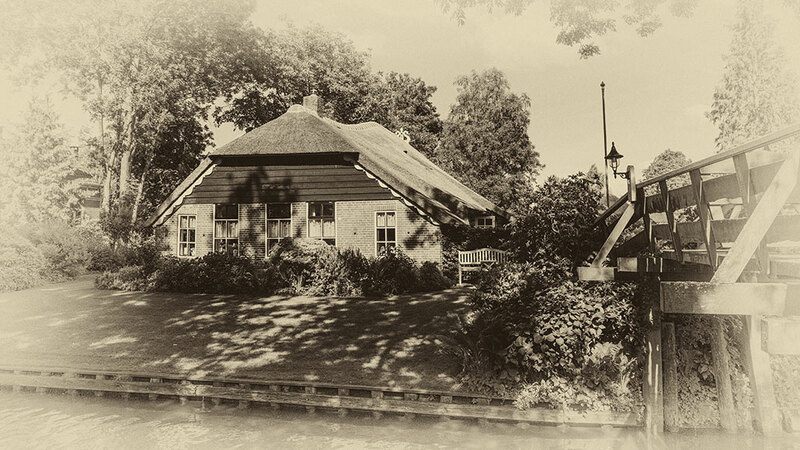 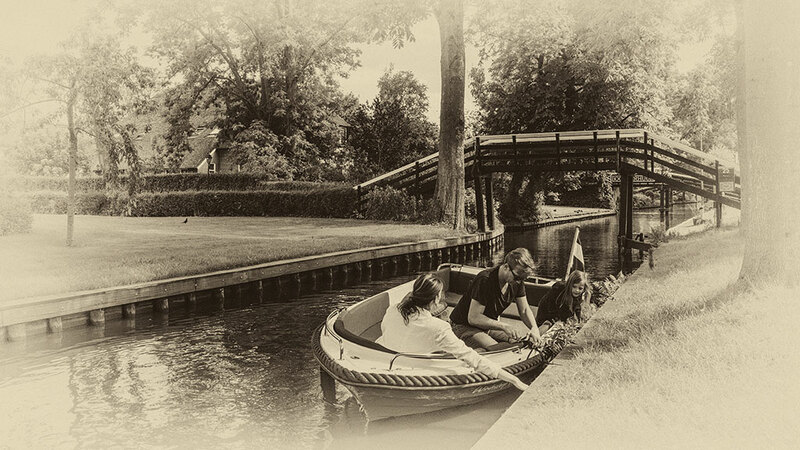 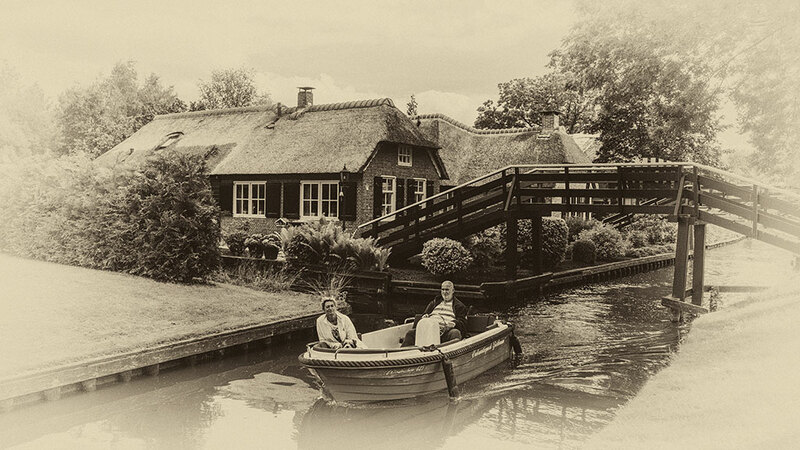 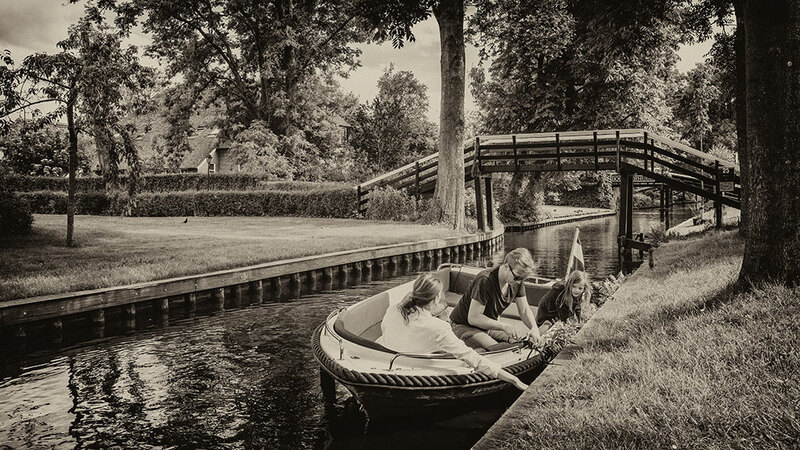 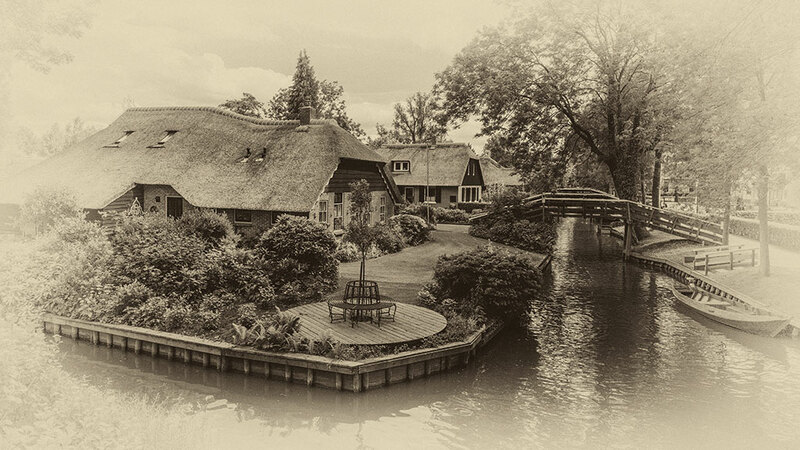 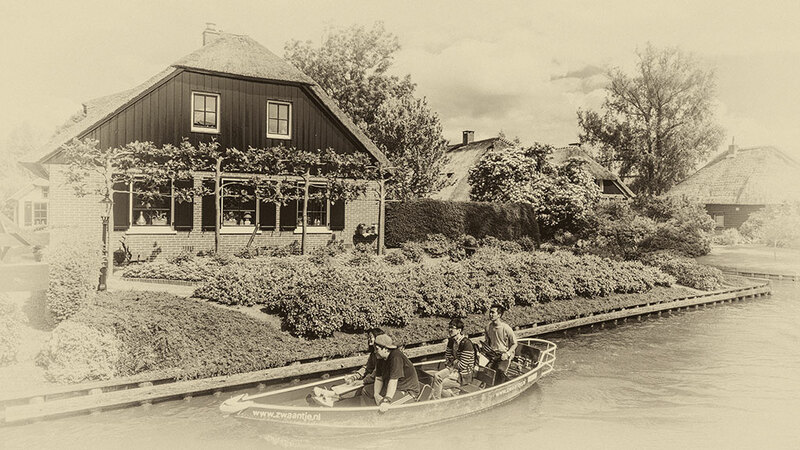 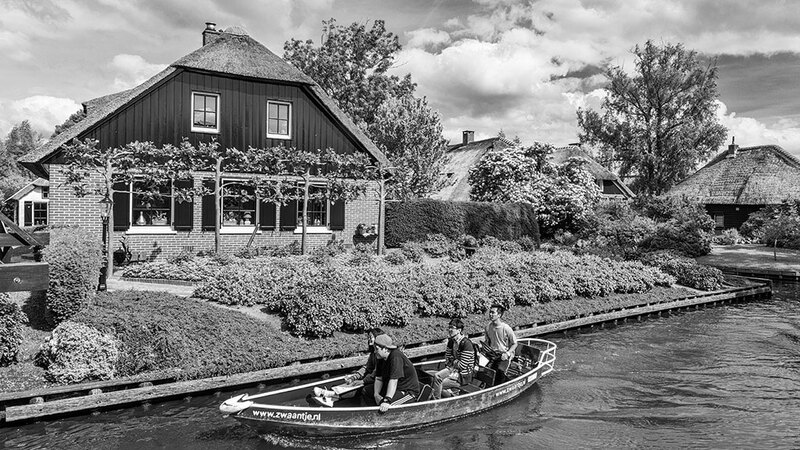 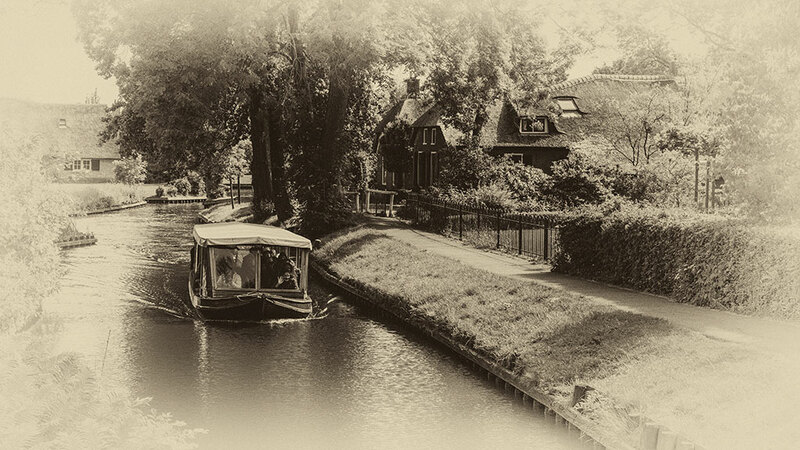 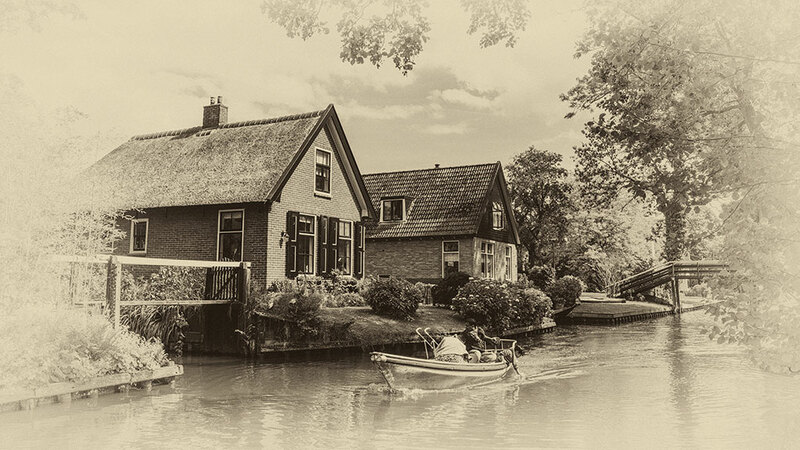 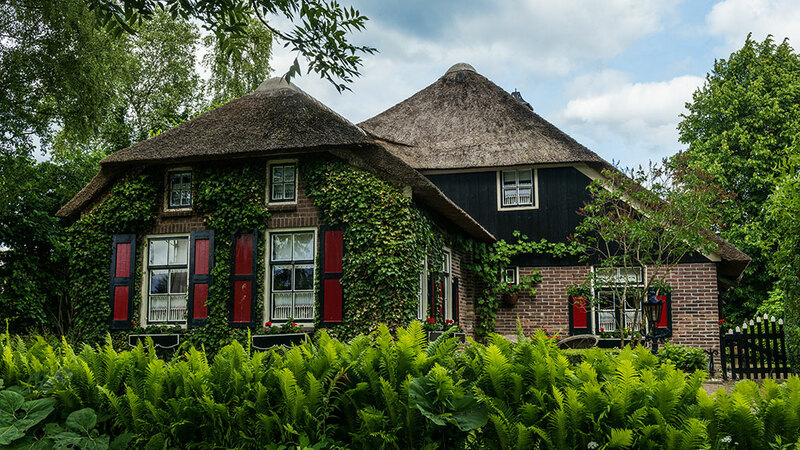 The small town of Giethoorn is famous for its picturesque beauty, beautiful farm houses that only be entered by a small bridge going over narrow waterways filled with boats with people enjoying the area by water. Recently the town got some world fame by making it into the international version of Monopoly, after winning a vote by people worldwide. 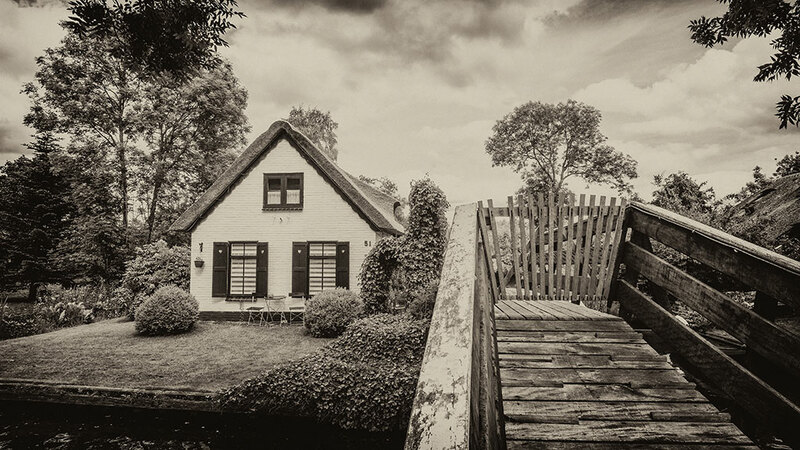 With my friend from Australia on a holiday here it seemed a good occasion to visit again and get some good shots. 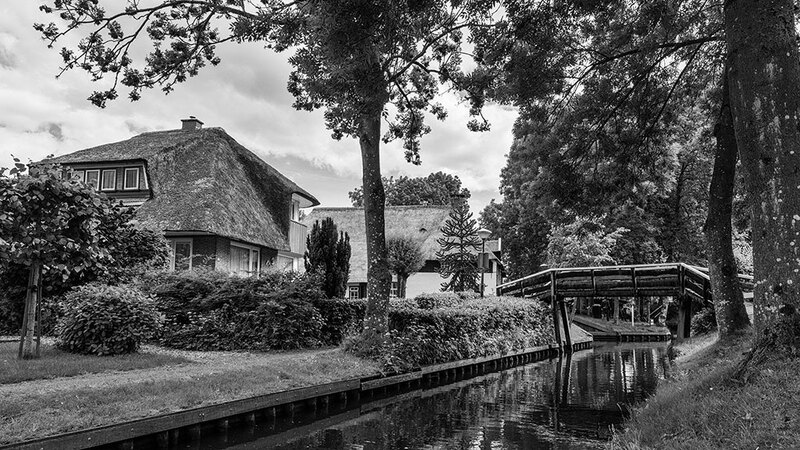 I took two series of images, a regular single photo shot and a panorama series, consisting of about 10 images. 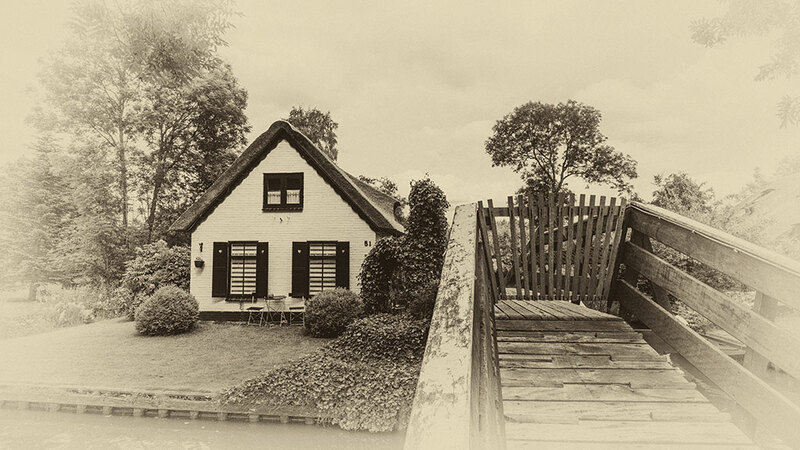 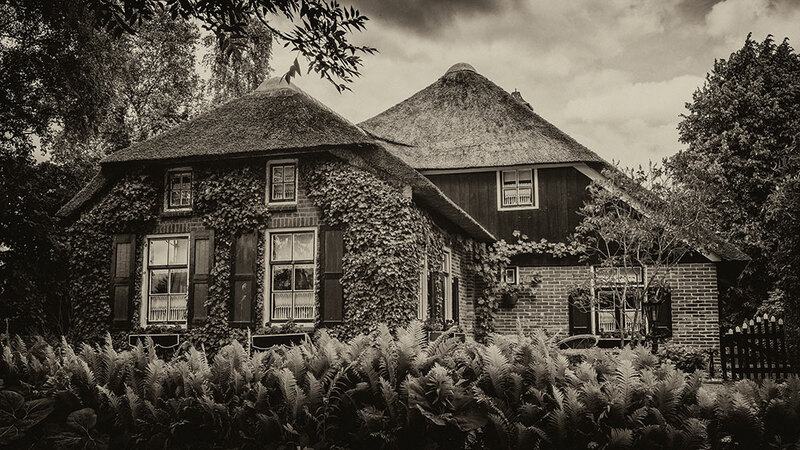 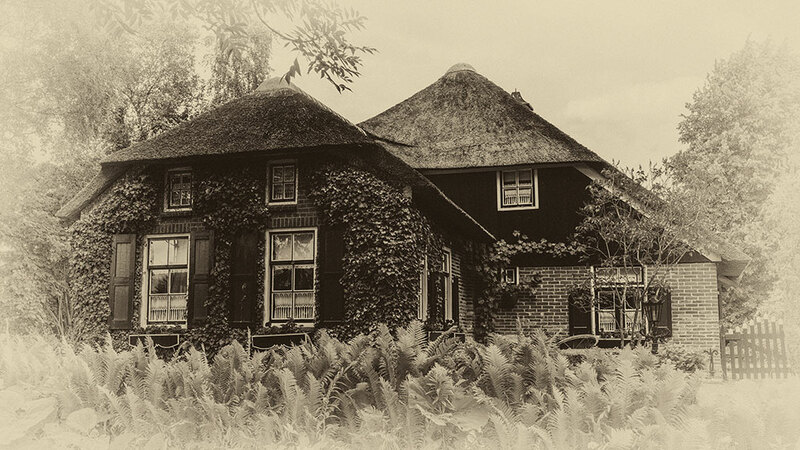 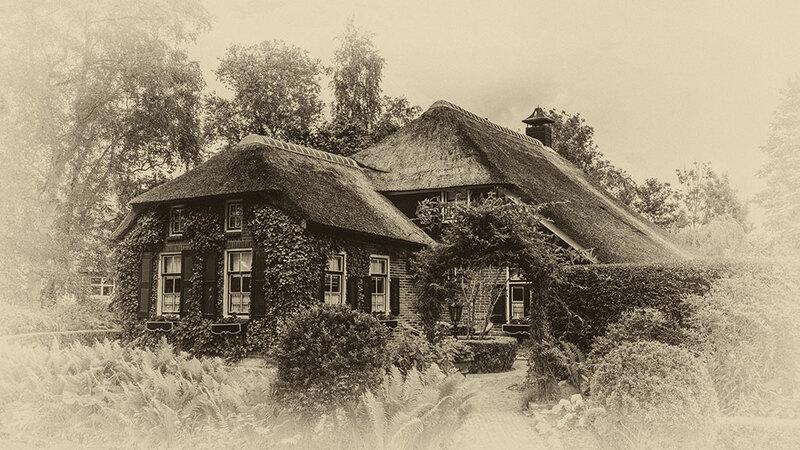 This photo series contains 18 images that I tried out in some black&white and sepia versions. 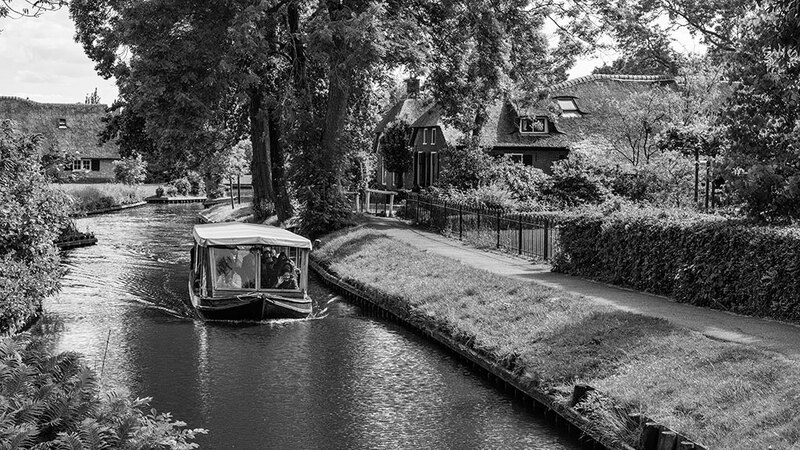 Can’t seem to decide which of those I like better, so I’m just sharing the lot with you, enjoy.